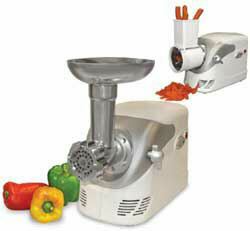 Grinding your own meat assures the freshness and quality of meat that goes into your meals. The compact design stores easily and keeps your counter top free of clutter. Use the included Shredder/Slicer Attachment with three blades for processing cheese, fruits, vegetables or nuts.